In Redefining Leadership, respected pastor and author Joseph Stowell provides a new generation of leaders with a counterintuitive look at Christian leadership, demonstrating that great leadership in God's eyes begins when the leader's heart is aligned with his. Kingdom leaders have a redefined priority in their leadership and a redefined identity as a follower of Jesus. Stowell helps leaders understand the truth that how we lead is never as important as who we follow. 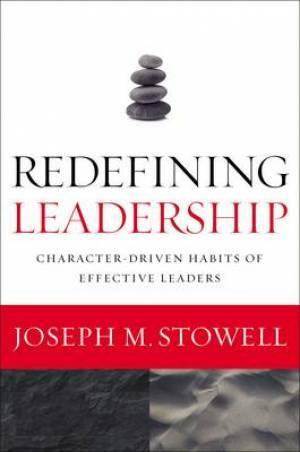 Redefining Leadership by Joseph M. Stowell was published by Zondervan in April 2014 and is our 6319th best seller. The ISBN for Redefining Leadership is 9780310215653. Be the first to review Redefining Leadership! Got a question? No problem! Just click here to ask us about Redefining Leadership.